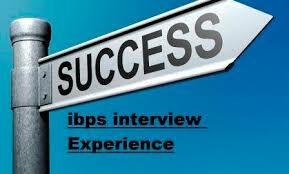 Dear Readers, We are sharing IBPS PO-VI Interview Experience 2017 of our reader Mr. Rajiv agarwal. First document verification is done and candidates called for interview. My interview turn came around 12 PM . I am continuously looking towards my watch as m standing out interview room abound 11:55 AM. So to avoid mistake in wishing them time is important for me. I wish all of them Good afternoon. Then one of panel member asked me to sit down. I sit down quietly without making any noise.As soon as I settle down , they started my interview. M1: He asked me to introduce yourself. M2: What is your strength and weakness? M4: Why we select you for bank Job? M5: Who is current CMD of PNB? PNB se pahle wo kis bank ki CMD thi? M1: Are you ready to locate any where in India? M2: Where you will find yourself after 10 years if youselected in Bank? M3: What are mutual funds? M4 is focusing on my eye contact with interviewers , how I answered questions and all.